Fear of the unknown is a big reason people don’t do things. I remember when my son was 8 years old he was crazy about basketball. I found out that some pro’s and soon to be pro’s were making an appearance in a town near us to celebrate a big anniversary of the Continental Basketball Association. It was a league that gave many of them their kick start to the NBA. They had an autograph session and we were pleased to get autographs from many of the players. There was a future NBA player that we wanted to sign something for us pretty bad. It was a cartoon picture we had brought that had four local NBA prospects. The picture was funny how it characterized each individual together in one picture. We were able t secure two of the three players that were at the event to sign. It was fun for them to autograph by the funny cartoon picture of themselves. We happened to be talking to a lady in the stands during the exhibition basketball game and found out that she was the grandmother of a third player depicted in our picture. She promised that she would have her grandson sign our picture after the game. When the game ended and the grandson showed up his grandmother showed him the picture and asked if he would sign it for us. He said he wouldn’t and he made the excuse that if he signed it would draw a crowd and he would have to sign for everybody. This fear of the unknown is just an excuse. Usually whatever fear we have never happens. It’s like when we go on a trip. How many times do we get miles down the road and all of the sudden a fearful thought comes to our mind? “Did I turn the burner off?” we might think. Yet how often do we get home and find the house burnt down? Most of the time the burner we had been so concerned about isn’t even on. The fear factor is a pretty powerful emotion and can cause us to panic. That is why Jesus told us to not fear because he is with us! He also told us he would always be with us! Along with the fear of the future there are many other excuses people give when asked why they won’t receive God’s free give of salvation. Jesus talked about excuses people make in Luke chapter 14 verses 16-23. Jesus spoke in parables so that people would understand the mind of God. The banquet he talks about is in Heaven. He is inviting all of us to come and these excuses we are making are very hurtful. If you have not accepted Jesus into your heart yet what excuses are you making? We need to realize that with God our future is in great hands! What future events can we control anyway? II Corinthians 6:2 tells us that now is the time of salvation. Instead of making excuses pray this prayer with me. If you prayed that prayer congratulations! You have quit making excuses and are on the path to Heaven! You are not fearing the future anymore because you know that he is always with you! To the lady that feared becoming a Missionary in Africa I can tell her this news. First of all God probably won’t send you to Africa to be a Missionary. There are tons of Mission fields right here in the States or right where you are currently living. You see you can be a Missionary right where you are doing exactly the job you are doing and living in the same house you are living in now. However, if by small chance you were sent to Africa to be a Missionary you would be so happy inside content in knowing that the God of the universe thought you worthy of such an assignment. This song really moved me this morning and I wanted to share it with all my readers! It’s by one of my all time favorite singers Neil Diamond! It was the biggest disaster of it’s time. The Titanic crash of 1912 into an iceberg resulted in 1503 people dying including passengers and crew. Many of those lives could have been saved but weren’t. You see some of the life boats were only half full. Maybe it was the idea that loading them to full capacity as they were lowered into the water would be too much stress for the boats. Later the boats were filled to full capacity and the boats held firm. Since many of the boats were under filled there was opportunities to rescue a lot more people who were floundering in the ice cold waters. Instead of making the attempts it was decided that rescuing others would endanger the ones in the boat and might result in the boats tipping over. Among the cries of help from hundreds of people the lifeboats paddled away. Within a half an hour the desperate cries ceased. It was a fall night at the ball field. My softball team had won the game but I couldn’t help noticing the shortstop from the other team. He had an incredible arm and realizing that our shortstop play was a weak part of our team I engaged him in conversation. I found out his name was Steve and he would be more than happy to play ball with us the next year. I took his phone number and gave him a call the following spring. In getting to know Steve as we played ball together I noticed that a lot of things were going astray in his life. He was a heavy drinker who drank to the point of passing out on occasion. He was a single guy who wouldn’t settle down as he was involved in many relationships. From my view Steve’s life was going nowhere and I thought that maybe I could help him. After the games I would discuss life with Steve. I was a person that he trusted and liked. He was more than happy to share his bat with me. It was a bat that felt perfect in my hands. Still Steve continued down his wayward road. A few of my teammates discussed how they went golfing with Steve and afterwards he passed out from too much alcohol. As the summer season closed our team qualified for the state tournament. Unfortunately Steve couldn’t work his schedule out to go. I made arrangements with Steve to meet him at his work and borrow his bat. Steve worked as a salesman for modular homes and he was very good at it. He was the top salesman in the company. I met him and he gave me a tour of the place. Finally we sat down in his office. I meant well and I felt I knew that Jesus could save Steve, but I went about the conversation in a round about way. I talked to him about my daughter I had lost and told him that I had hope of seeing her again. He assured me that I would. I didn’t go any further with Steve and to this day I regret it. I’m sure I thought I was easing myself in and leading by example. I left with Steve’s bat but Steve remained in the water. It was a Saturday in February the following year. I was away that day and a message was left on my answering machine. It was a good friend of Steve’s that we had brought to the ball team with him. The message was stunning…Steve was dead. Apparently he was on his way to one of his girlfriends in the morning. He was driving rather fast down the road when something happened. Nobody knew if he passed out or had some kind of heart problem but Steve plowed his truck into the rear of another car at a pretty high speed. Steve was dead at the scene. To this day I have regrets of the lost opportunity I had with Steve. I have read that over 90% of Christians have never led someone to the Lord. Most Christians don’t even think about it. Jesus told us in Mark 16:15 to “Go unto all the world and preach the gospel to every creature.” With the fact over 90% of Christians don’t I have to wonder why not? One reason might be that we don’t have a plan. The old saying comes to mind..”If we fail to plan we plan to fail.” Another reason might be that we are comfortable where we are in the boat and don’t want to get out of our comfort zone. We need to realize that our boats are not full. There are many who are searching and you or I might be the ones called to reach them. We’ve been taking this Soul Winners class on Tuesday nights the last few weeks. Jeremy who is my pastor is teaching the class. Jeremy has perfected a plan that he uses that has won many souls for the Lord. It is a simple plan that is designed to get the person to a place where they need to make a decision. If you think about it that place was where you and I were before we became Christians. I literally felt like that if I didn’t accept the Lord when I did there would be no more opportunities. I don’t know what would have happened but that was the message the Holy Spirit had put in my heart. The conversation works with both people we know and people we don’t know. After an exchange of pleasantries the first question to ask is “Do you like to talk about spiritual things?” Normally people don’t mind or are even interested in such conversation. Our society leads us into a direction of being inclusive and listening to everyone’s point of view. Normally the answer is yes. Jeremy states that if the answer is “no” it is time to back track and back off. However, if the answer is yes the next question is…”Have you ever considered becoming a Christian?” This question is answered in a variety of ways, from Yes to I already am, to NO. The next question is “If I asked you what a Christian was what would you say?” Jeremy calls this the litmus test. It shines a light on where they are and what they believe. Listen to their answer and then ask them if they would mind if you shared with them 4 scriptures of what a Christian is. Here are the 4 scriptures. REVELATION 3:20 BEHOLD, I STAND AT THE DOOR AND KNOCK. IF ANYONE HEARS MY VOICE, AND OPENS THE DOOR, I WILL COME IN AND EAT WITH HIM, AND HE WITH ME. At this point say their first name…as an example “John, Jesus is knocking at your hearts door right now! Will you let him in? Lord Jesus, forgive me of my sins and make me your child. I am sorry for my sins and want to live forever in heaven with you. Ask them if they were serious when they prayed. If so reassure them that they are born again and that Jesus is now dwelling in their heart. Jeremy has assured us that this is not a gift it is a skill. Some people praise Jeremy saying he is so gifted in soul winning. Jeremy has practiced and made himself better much like when we practice a skill for improvement. It isn’t a matter of a gift it is a matter of willingness. Are we willing to step out of our comfort zone and rescue the lost and dying? Many people cross our paths every day. 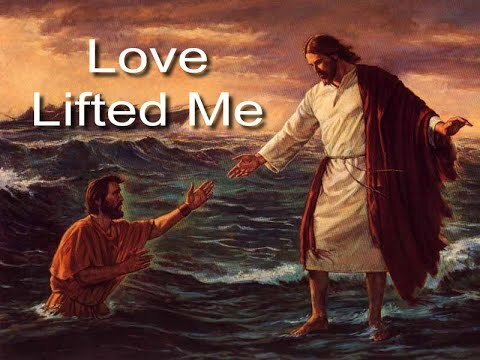 As Christian’s how willing are we to reach out in faith and pull them into the boat? I don’t know if Steve would have accepted the Lord that day those many years ago, but the pain that I have of not putting him in a decision making position is still with me. How about you? Would you be willing to put somebody like Steve in a position to get saved? As the light of the world we are called to hear and respond to the cries of the dying before their voices fade away. Bobby Richardson had a Mickey Mantle moment once. Bobby was the little second baseman that played for the Yankees in the late 50’s til the mid 60’s. Bobby was a light hitter without much power. Usually in clutch situations just as he was going to bat he would hear his manager Casey Stengal holler “drop that gun.” It meant that someone was going to pinch hit for Bobby. The Yankees had just loaded the bases and Bobby was walking up to the plate. It was the World Series of 1960 against the Pittsburgh Pirates. Bobby was sure that he would hear Casey’s voice one more time and was shocked when Casey’s crackling voice didn’t fill the air. Apparently Casey had a feeling that it was Bobby who would come up with a big hit. Bobby was thinking about how he could punch a ball into right field and perhaps get an opposite field hit. Surprisingly the pitchers pitch was on the inside corner of the plate and Bobby turned on it and ripped it down the left field line. Amazingly the line drive sailed over the left fielders head and into the seats just fair! Bobby had hit 1 home rune through the whole 162 game regular schedule so his dramatic grand slam on the biggest baseball stage was shocking! He trotted around the bases just like Mantle had done 40 times in the regular season. It was truly a Mickey Mantle moment. When Bobby was 14 years old he had an experience that felt like that grand slam he hit in the World Series only it lasted the rest of his life. His plans were to be outside playing the game that he loved so much (baseball) when his parents had another idea. Bobby was to be home when their church pastor made a visit. Although the Richardson’s were regular church attenders Bobby discovered that day that there was something missing in his life. The pastor pointed out to young Bobby that all had sinned and come short of the glory of God. Bobby realized that he needed to accept Jesus Christ into his heart and the pastor led him in the sinners prayer. From that day forward there was a new peace in Bobby. That decision changed his life as far as the decisions that he made while he was a major league baseball player and the years after he retired from the game. Bobby would become a member of the Fellowship of Christian Athletes which emphasized sharing the Christian faith from their athletic pedestal. Mickey Mantle knew all about that athletic pedestal. He had been on it for years as the center fielder on the most recognized team in baseball (the New York Yankees). Mantle’s love of baseball started with his father. Mickey was named after his father’s favorite player Mickey Cochrane. Mickey’s father who was a miner in Commerce Oklahoma left the house early in the morning and didn’t return until late in the day. Mickey was to be around when his father came home because it was a ritual that his father pitch to Mickey every day. They had an old barn and Mickey stood in front of it with his bat waiting for his father’s pitch. Mickey was a natural right handed hitter but his father insisted he switch hit (bat from both sides.) He had seen that baseball was starting to go to platoon systems where the managers had left handed batters facing right handed pitchers and vice versa. He wanted his son to have an advantage that the other players didn’t. Every day young Mickey would bat against his father (who pitched right handed) and his grandfather (who pitched left handed). In that way young Mickey practiced from both sides of the plate and got a clear picture of what the pitches looked like from both a lefty and a righty. It was this labor of love from his father that made Mickey a high school star and led to his signing with a New York Yankee scout. Mickey astoundingly made the Yankees team at the age of 19. His manager Casey Stengal gushed as he talked about the young phenom. Not only could Mantle hit long home runs from both sides of the plate he could also run like the wind! He was the fastest player in the major leagues. They gave him the number 6 and it was symbolic. Babe Ruth was number 3, Lou Gehrig was number 4, and Joe DiMaggio was number 5. Mantle symbolically was to become the next Yankee star. Along with his managers praise and the symbolic number Mickey started to feel pressure. The fans expected to see the next great star and Mantle was not delivering. He was striking out a lot and he was very down on himself. It got to a point where Casey called him into the office. Mantle was in tears when Casey told him they were sending him down to Kansas City (the Yankees minor league team.) Although Casey tried to encourage him Mickey felt like a failure. The Yankee organization thought that a trip to Kansas City would uplift Mickey’s confidence as he started hitting again. It seemed that the opposite was true. Mickey kept striking out at a rapid pace even though the pitchers were not nearly as good. After every game Mickey was getting down on himself further. At long last he couldn’t take it anymore. He was feeling extreme depression and called his father. It was a very short conversation as his father said he was on his way to see him. Mickey was delighted that his father was making the trip. He thought that somehow his father would understand his dilemma and comfort him with loving advice. When his father showed up a few hours later he marched past Mickey and started throwing Mickey’s clothes into a suit case. “Dad, what are you doing?” “I thought you had guts”, was his reply. “You can come home and work in the mines with me!” As his father was hurriedly packing his suitcase Mickey was frantically telling him that he would do better. Finally he convinced his father to give him another chance and his father left for home. After that encounter Mickey started hitting like never before and was soon back with the Yankees. In the 1951 World Series Mickey had a devastating injury. Mickey was playing right field and was charging after a fly ball to right center. Seeing DiMaggio (the center fielder) catch the ball at the last minute Mantle tried to put on the brakes and hit a sprinkler head placed in the outfield. The pop could be heard all around the ball park as Mantle had severely injured his leg. They had him in the hospital and ironically the guy in the other bed in the room was his father. The history of the Mantle men was not good. Each of them died before the age of 40. Mickey’s dad was no exception. He was dying from Hodgkins Disease and there was nothing anyone could do about it. As they both left the hospital together Mickey without thinking leaned on his father for support. His father crumbled to the weight which had to be devastating to young Mickey who had depended on his father so much. Mickey’s father died a short time later. Mickey spent the times after games for the rest of his career living it up. In his mind life would end for him at 40 just like the other Mantle men. He was going to get out of life all that it had to offer. Even though he had a wife in Dallas Mickey lived as though he were a man without responsibilities. He did not enjoy the off season as it was a reminder that he had others to think about. He had a growing family but wasn’t the father he should have been. His life was wrapped around Mickey and a Yankee team who were heavy drinkers. 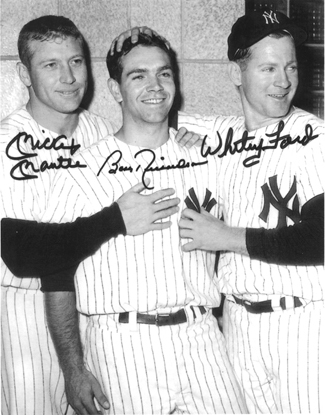 After games Mickey along with Whitey Ford and Billy Martin were regulars in the bar scene. One time Bobby Richardson was involved but it was in a funny way. 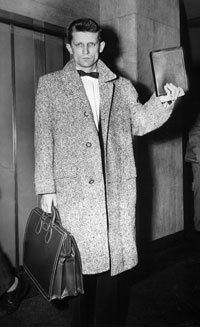 The Yankees had hired a detective to follow Mantle and the other high living Yankees. The detective picked out two guys he was sure were part of the Yankees. He followed the two players doggedly knowing that they would lead him to the place of misconduct. Unfortunately for him he was following Bobby Richardson and his fellow Christian teammate Tony Kubek. They ended up at the local YMCA where a ping pong score was settled! Although they went their separate ways after the games Bobby and Mickey were friends. Bobby would share his faith with Mickey as often as he could. His teammates would agitate Mickey asking him if he got saved yet? Mickey in his smiling Texas drawl would answer back that he was working on it. Bobby retired after 1966 and Mickey 2 years later. Bobby retired early at the age of 30 to spend more time with his family. Mickey retired not for his family but because at the end of his career he was so crippled he couldn’t perform like Mickey Mantle anymore. After his retirement Mickey’s life got out of control. Baseball was the only thing he knew and when he was hired for public relations jobs drinking was a big part of them. For years his life was totally a mess as he even stooped to binge drinking with his sons as a way they could get to know each other after years of neglect. Although after retirement they both went their separate ways Mickey found time to come to South Carolina and give hitting clinics to Bobby’s baseball team. Bobby had become the head baseball coach for South Carolina University. Whenever they met up Bobby shared his faith with Mickey. Mickey’s drinking eventually took it’s toll. He was admitted to the Betty Ford Hospital and they had him write a letter to his father offering an apology. Mickey admitted that it was the hardest thing he had to do. He left the center vowing that he was done with drinking but unfortunately the damage to his body was done. His liver was not functioning and he needed a new one. It was determined that he wouldn’t have lasted through the week when a new liver donor was found and Mickey had the 6 hour operation. It wasn’t long after the operation that a weak Mickey Mantle held a press conference. He wanted to speak to his fans that loved him dearly. “To all you fathers out there here is a role model…don’t be like me.” Through teary eyes he explained that he had it all and just threw it all away. Although he made baseball’s hall of fame years before Mickey never thought he lived up to everything in baseball that he could have been. He didn’t maximize what the good Lord had given to him. He felt like his life was a total disappointment. He didn’t expect that he would live into his 60’s. A few years back he had stated that if he knew he was going to live this long he would have lived differently. When the doctors gave Mickey the liver transplant they discovered cancer spots. They thought they had it under control only to realize that this was a fast moving cancer. From his hospital room Mickey talked to Bobby. Bobby again talked about his Lord Jesus Christ and prayed for Mickey. He then boarded a plane for Dallas to see his old friend. When Bobby walked into the room Mickey perked up! Mickey couldn’t wait to tell Bobby that he had accepted Jesus Christ as his personal savior. He even quoted John 3:16 to him. Bobby was thrilled that his old teammate had come to Christ and would some day be in heaven with him! Mickey had a Bobby Richardson moment that day. It was like the voice Richardson heard to “drop that gun.” In other words someone was going to come and bat for him. Jesus came to bat for Mickey. He took the load off of Mickey’s shoulders and gave him the peace he had long been looking for. Although he had a storied career in baseball and was a hero to so many it was never good enough. He had never had the Bobby Richardson moment that Bobby had at 14. Now Mickey was near death but was at peace with his life. Unlike his earthly father when he leaned on Jesus he was supported like a rock and was carried safely home! Nicky was born into a satanic home in Puerto Rico. His mother was a witch and his father was a satanic priest. Nicky was told very early in life that he wasn’t wanted. “You are a child of Lucifer”, his mother would tell him. Nicky developed a hate in his heart and had no respect for laws and didn’t love anyone from an early age. One time his father punished him by putting him in a shed with many birds in it. It was dark and the birds started attacking Nicky and pecking him. After a long while his father let him out but the experience left more hate in Nicky. He was always getting into trouble and at the age of 15 he was sent to live with his brother in New York City. Things didn’t change for Nicky in New York City. The hate that developed in Puerto Rico got worse. His brother couldn’t handle him as Nicky got kicked out of school. Nicky decided that he would have to live on his own. He was looking for a place to stay when the superintendent of a run down apartment complex told him the rent was $15. Of course Nicky had no money. “Listen kid”, the hardened landlord said, “I don’t care where you get the money, rob some old lady for all I care. Come up with $15 and we can talk. Until then get out of my face you are bugging me.” Nicky had no plan but he had his knife and he needed some money. He had lied to his brother that he would be staying at friends for a week and was determined not to go back. A man in his late teens had a bag of groceries and a wino was begging him for money. Nicky listened to the conversation. Nicky thought the wino would be a good target because he wouldn’t dare make a commotion and he probably had a lot of money he had been given. The young man gave the wino a coin and he was on his way. Nicky was disheartened that the wino had gotten away. Just then the young man dropped his bag of groceries and they were going everywhere. Nicky grabbed the man and pushed him up against the building holding his knife in his face. 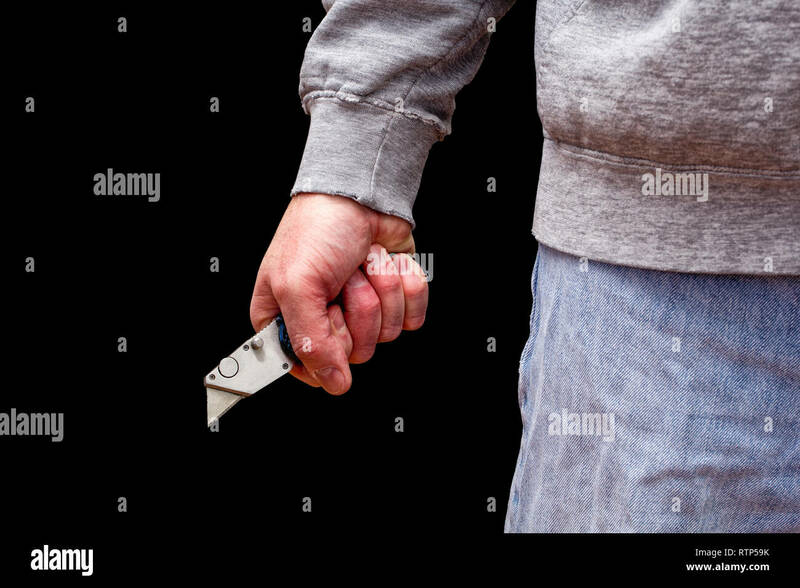 Nicky’s hand was shaking and he was afraid he would drop the knife. His victim was shaking too but Nicky had the surprise advantage. “I don’t want to hurt you but I need money now”, he said. The young man was shaking. “Take all of it just don’t kill me”, he pleaded. The victim tried to take the wallet out of his pocket but was shaking so badly that he dropped it. “Now take off and run as fast as you can for 2 blocks. 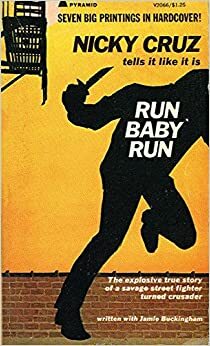 If you stop running you are dead.” The young man took off tripping a couple of times until he got his footing and raced down the road. When he turned the corner Nicky took the wallet and counted the money. The amount was nineteen dollars and the next day he rented a room from the superintendent. Living in New York City was a dangerous proposition at the time. Nicky was continuously running into gangs which threatened his safety. Nicky came to a point where he was thinking about joining a gang. He met the Mau Maus which was a Puerto Rican gang and one of the toughest in the city. He decided to join the gang which involved passing the initiation test. 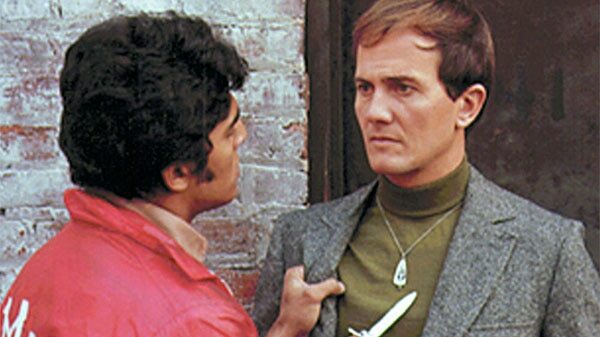 The test for Nicky was to have 5 of the toughest guys in the gang beat him up in front of the assembly while he had to stand defenseless. Any sign of backing down would label him a chicken and he was likely to get stabbed, dragged out and thrown in the street. One by one the toughest guys in the gang took their swings at him. Hitting and kicking him until Nicky was knocked out. When he came to it was to the voice of one of the members who had administrated the beating. Hey wake up he was saying as he was patting his face. Nicky found himself in a pool of blood and suddenly he jumped up with renewed energy and started swinging wildly at his attackers. Finally they got him pinned down and told him he was one of them. “You may be a lot of things Nicky”, Israel, the vice president of the gang told him, “but you are not a chicken!” “You are a Mau Mau Nicky, a Mau Mau!” Nicky finally felt like he had a family. He figured he wouldn’t have to fight alone anymore. If it were possible for Nicky to become even more cold and ruthless he did. He lived for the gang fights and looked forward to the rumbles in the local park, schools, or anywhere else around the city that the gangs decided. There were many gangs in New York City and they all had their own turf. The turf was the land that the gang fought for and claimed for their own. Other gang members who got caught on another gangs turf could be beaten up, stabbed, or killed. It was a world filled with hatred and sin and Nicky enjoyed it. That is until he went home and was alone. As much fun as he had with the gang he couldn’t shake the loneliness and emptiness that engulfed him. When he went home he felt like the loneliest guy in the world. Nicky became more vicious as he became the president of the gang. He didn’t stay the president for a long time however. The president was usually drawing up plans and staying in the background when they fought. Most of the time Nicky was the vice president because he could take part in the fighting he loved so much. He liked to cut up a garbage can and put it around him as he wildly swung a baseball bat at whoever was near him. His fellow gang members didn’t like to fight next to Nicky for fear that they might get hurt by his wild swings. The year was 1958. It was over 3 years since Nicky had first arrived in New York City. 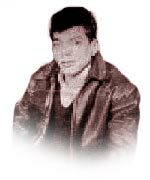 A skinny preacher from Pennsylvania named David Wilkerson had been led by God to New York City to minister to the gangs. The encounter with Nicky where Wilkerson made the statement about cutting him into a thousand pieces took place 2 weeks before the city wide crusade Wilkerson was staging. On the last night of the crusade a bunch of Mau Mau’s finally took the bus that was provided to get them to the arena. Nicky was not afraid of anything except this skinny preacher. There was something about him and the power behind his life that scared Nicky to death. As Nicky heard the message something started penetrating his heart. Here was a young man now 18 who was arrested 16 times and was known throughout the city for his stone cold violence. Here was a young man who lived like an animal in the Bronx jungle. If Nicky was ever going to change it had to be a new start. It had to be from a power far greater than anything on earth. All of his past had to be forgotten like he was born again. That is what happened to Nicky as he raced to the front along with a mass of other gang members and cried out to God to forgive him of his sins. The change was immediate as Nicky felt the peace of the Holy Spirit inside of him. All of the Mau Maus brought their weapons to the police station the next morning. The surprised police officer at the desk didn’t know what was happening as one of the most feared gangs in the city marched in with many weapons in their arms. That crusade marked the beginning of the road that would lead Nicky Cruz to preach the Gospel to over 40 million people exalting the saving grace of God! 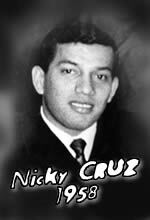 His message through the years has been if Jesus changed Nicky Cruz he can change you! Many years ago my ex pastor had a dilemma. 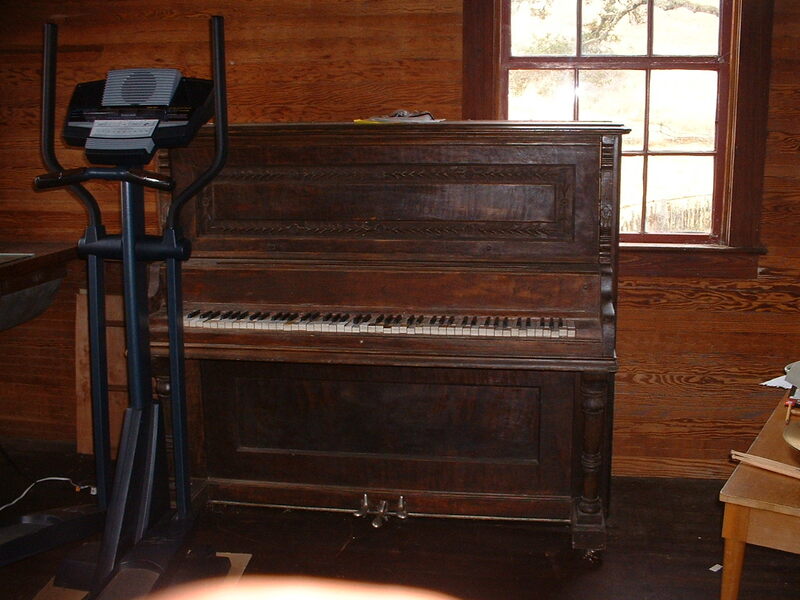 There was an old piano in the back room of the church. It was away from the action and the only activity it received was kids banging on it, making it sound as though it were a toy. The piano had not been tuned in years if ever. Pastor’s dilemma was should he attempt to have the piano tuned so it could be useful, or just write it off as worthless and get rid of it? After thinking it over for awhile he called a piano tuner to repair it if possible. This happened in the middle of the week and the next Sunday he shared the story with us. I felt in my spirit that God wanted me to write a poem about this moving story! You see as pastor was listening to the piano tuner adjusting the keys of that old piano his spirit was broken and tears flowed. Suddenly it wasn’t about the old piano at all. and not giving up on me. still sinners, Christ died for us. It’s Christmas morning and I would like to postpone the end of the year countdown until tomorrow to talk about Christmas. Every year we see manger scenes when Christmas gets near and I love that. I’d much rather see that than Santa Claus and Reindeer. But though we celebrate Christ being born, I think the bigger celebration should be why he was born. We’ve all heard the story of the Good Samaritan! To recap a man was going down from Jerusalem to Jericho when he fell victim to robbers. They beat him and took his clothes and left him almost dead on the side of the road. A priest and a levite , both religious leaders of the day, saw the man lying there but chose to pass on the other side of the road. A Samaritan (part of a group of people despised by the Jews) stopped and cared for the fallen man. A long time ago there must have been a meeting of the minds of God the Father and God the Son! There had to be a way to bring the fallen man back to God. Jesus must have told his father “I’ll go, send me.” Without Jesus, we are all on the side of the road waiting to die. Today we celebrate Christmas and “The Greatest Gift of All!” https://lightenload.wordpress.com/2012/12/10/the-greatest-gift-of-all/ We should not only celebrate the fact that he came, but why he came. He literally saw us lying along the side of the road and made the decision to stop and save us! Many years ago right around this time of season I was very annoyed by all of the advertisements and all of the attitudes I was seeing. It seemed like we had traded in the true meaning of Christmas for what material things we could get or receive? During that time I felt like God gave me this little poem. It’s a humble poem much like that first Christmas was! I pray that this Christmas season you take the time to really reflect on what Christmas is about. As you do I think you will be moved and inspired! As much as the advertising tries to show us products that supposedly fill all of our needs, their words are only empty promises. The greatest gift was given that first Christmas day and no other can truly make us happy. As you reflect on the love that God had for us, you will realize that his gift is the only one you truly need this Christmas! Have you ever considered how many choices we make in a day? Just the fact that you are reading this was a choice. Just off of the top of my head we may make choices as to what time to get up, what to wear, what to eat for breakfast? If you think deeper almost everything we do is a choice. If I’m driving it could be how fast will I drive? Should I pass this person? Should I turn the radio on? If I’m walking it is how fast and far do I walk? Do I look around as I walk? If I see something interesting do I take time to stop? This is such an endless list because when we think about it our whole life is based on choices. Each choice that we make has some kind of consequence, some more than others. If I don’t eat breakfast I may not feel good later on. If I choose to not get eight hours of sleep I could get very tired later in the day. It is true that we make thousands of choices every single day. Some of the choices may not have lasting consequences like others. If I choose to look out the window it won’t have the same consequences as if I choose to have a meeting with my boss. Then there are choices within the choice. Suppose I was upset with someone. Do I talk to them about it? If so when would be the best time? What do I say to them? What will they probably say back? What is my goal in this situation? Should I talk to them in person or on the phone? Each little decision that I make will have some kind of consequence either good or bad that I will now have to live with. If the decision takes some thought we ask ourselves What will happen if I do this? Will I be happier or will it matter? Of course there are daily decisions that we make and then there are decisions that are more long term. These decisions are not limited to this list but might include What will I do for a profession? Who will I marry or will I get married? Would I like to have kids? Should I buy a house or rent? Should I buy a used car or a new one? Each decision in life starts to define us as people. Other people look at us from a point of view of decisions that we made. They define us based on those decisions because that is how people are. Many times they may make a decision to become friends with us, or they may not like the decisions we made and stay aloof. Election time is upon us again. As I drive home I see all of the signs for this or that candidate. If the phone is ringing there is a good chance it is about the election. The commercials are constantly playing for one candidate or the other. They are both out to get my vote and yours whether it is through the debates or creative ads. Sometimes I think my vote isn’t really very important. After all I only have one vote and there are millions of votes cast each election. There are also millions of eligible voters who do not vote. I guess they figure that their vote really doesn’t mean anything. Though your vote and mine will not decide who wins this election there is an election that your vote and mine are always the deciding vote! You might ask “What election could I possibly be the deciding vote?” It is the election of who you will worship? You see we are all meant to worship something or someone. It is the very essence of our existence. You might make the argument that you don’t worship anyone or anything. I have to strongly disagree with anyone with this view. Ask yourself this question “What is the most important thing in my life?” The answer to that question is the answer to who or what you worship. Oh you say “I don’t worship this thing!” The fact that it is number one on your list tells me that it takes up precious time in your heart and mind as well. You may argue that your kids or your spouse are the most important. These are good things and are blessings from God, but even good things can be in their wrong place. If I put anything before God in my life I am in essence worshiping that instead of him. All things are temporary in this life while he is eternal! Whatever is the most important thing in your life and mine is what we worship. We don’t need some kind of idol that we bow down to. The little idols in our life could be anything that takes the place of God as number one. You are the only voter in the election for your soul. 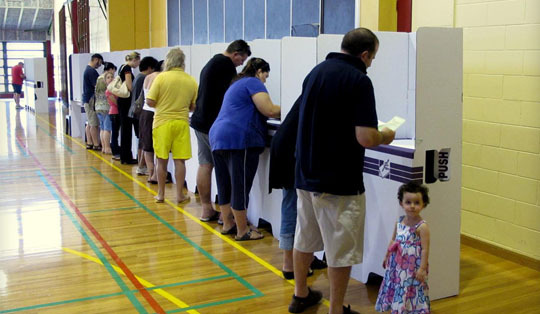 Like the presidential election millions of people vote, but each person in this election decides in their own personal election. It is an election that determines which power will rule your life and mine. Satan on one hand is the candidate that stresses living for today. His platform is about the now. His slogan is live it up for today for tomorrow you may die. He shows us nice things that we can have now. He paints the picture that material things can buy us happiness for the future. He is the candidate of promises that he can’t or has no intention of keeping. He uses temptation like he did with Jesus on the mountain. In that encounter Jesus had fasted for forty days and was extremely weak. Satan tried to tempt him at his weakest point by showing him all of the kingdoms of his world. “You can have it all if you bow and worship me!” Unlike Jesus, many of us fall for his promises and deceit. Many take him up on his offer and sell their souls for wealth and fame. Many buy into his theory that life is for living now. They buy into the get it while you can and if it feels good do it attitude he promotes. 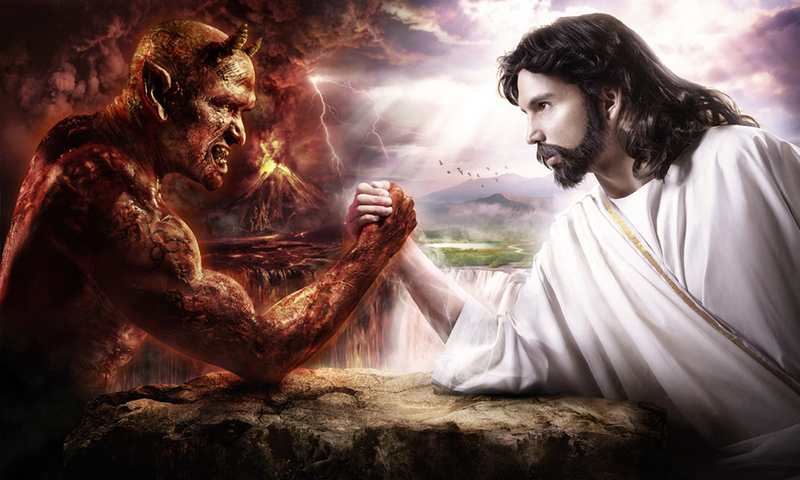 The problem with Satan’s candidacy is that it has no substance. In his live for today framework we have to sell our souls to him. He is in a battle for souls and he wants your vote and mine. He will do anything and everything in his power to get our vote. Now let’s look at the other candidate Jesus. Jesus is the solid rock as the song goes! All other ground is sinking sand. That song was about a parable Jesus used describing the wise builder as opposed to the one who built on sand. The sand would be like Satan’s plan that is quickly blown away and destroyed. Unlike Satan who makes promises he can’t keep and requires your soul, Jesus promises us eternal life if we come to him. He offers a peace that is beyond understanding and a purpose that takes away the emptiness in our heart. He is not out there in your face like Satan. He lets his followers tell his story of how he has changed their lives and how now they have hope for the future! I’ve read so many times of people killing themselves when it appeared they had it all (fame and fortune) and everything to live for. That is Satan’s ultimate victory as he takes one more soul with him. They bought into his lie and when they found out the truth they felt it was too late. It is never too late for Jesus. He will take your empty life and change it no matter how much you bought into Satan’s lies in the past. The best or worst thing that can happen to someone is when they reach their goals and dreams Satan has promised them. Now they discover how empty his promises are. Sometimes they turn to God as they realize they had everything this world has to offer and still were so empty. Other times Satan has their soul and they see no way out. There are consequences in the decisions that we make. So election day is upon us. Election day is every day. Like in politics there may be a debate going on. It is a debate within you as to who you should choose? Satan will no doubt make the case that Christians are fools for not idolizing the things of the world. He will forever make promises that he can’t keep just to claim your soul in his trophy room. He never quits either and will tempt the believers who made the right choice in the past also. He is relentless and never gives up. Yet, he cannot send us to hell unless we choose to go. Just remember his past record as Jesus stated, “He is a liar and the father of lies.” Like the Bible says “choose this day who you will serve.” Just remember though that your decision has a monumental effect on your future. It’s a decision that will either send you to heaven or hell. The wonderful thing is that we have a choice. It doesn’t matter how anyone else chooses. In politics many times the person we vote for loses because we are only one vote. In this election our vote determines everything within our heart. Choose this day who you will serve. As for me and my house we will serve the Lord! Election day is here, vote wisely!